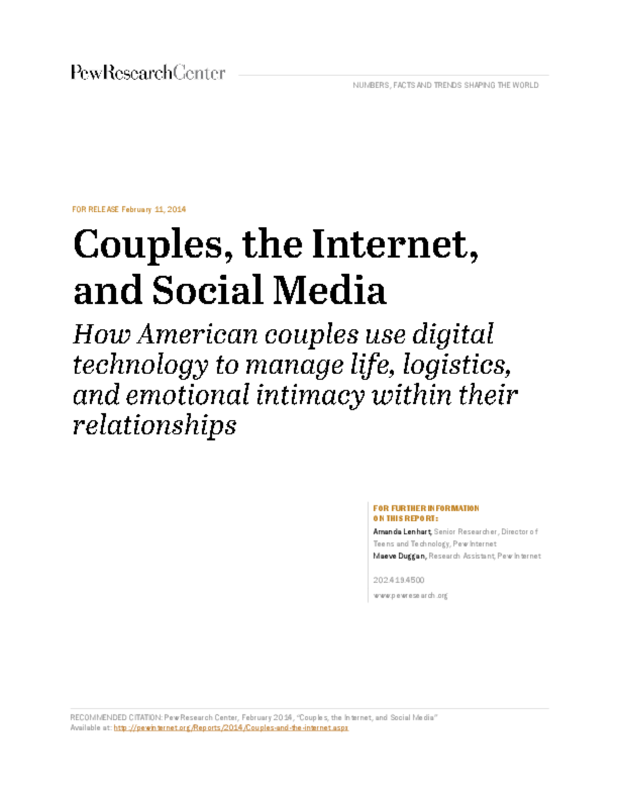 The internet, cell phones, and social media have become key actors in the life of many American couples -- the 66% of adults who are married or in committed relationships. Couples use technology in the little and large moments. They negotiate over when to use it and when to abstain. A portion of them quarrel over its use and have had hurtful experiences caused by tech use. At the same time, some couples find that digital tools facilitate communication and support. A majority of those in couples maintain their own separate email and social media accounts, though a smaller number report sharing accounts and calendars. And fully two-thirds of couples share passwords.